Perfect for creating a beautiful indoor/outdoor chat space. This unique sectional features a flat "All Weather" woven poly-resin vinyl in Dark Cherry finish over a sturdy frame. 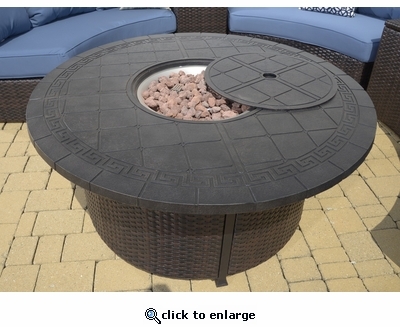 Enjoy a cozy setting with this round fire-pit table. Propane Tank Not Included.